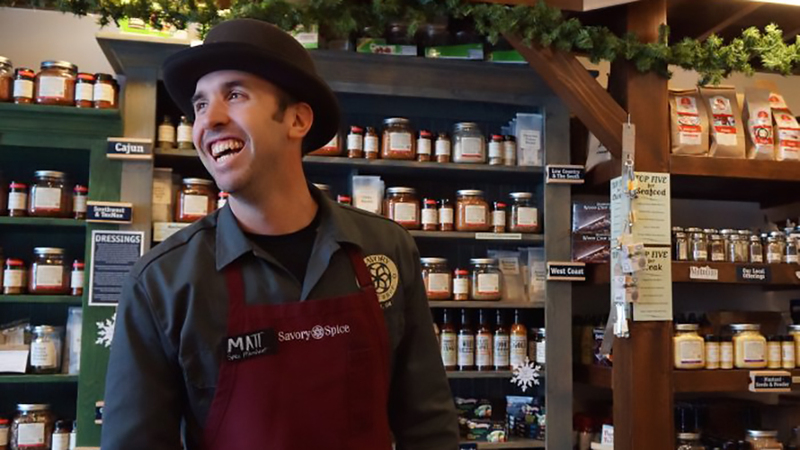 Located in a beautiful mountain town, the Bend Savory Spice Shop, located in the Old Mill District, has kept the shop close to the roots of the very first Savory Spice Shop opened in Denver, CO in 2004. They offer a large variety of seasonings and spices – over 400 spices and 140 blends. Their spices are ground fresh in small, weekly batches, so that they can offer the freshest possible product. The brand’s more than 140 seasonings are original recipes and are hand-blended weekly. Both are offered for sale in as little as a half-ounce and in either bags or bottles. Savory Spice Shop also offers extracts, sauces and more. The local owners of the Bend Savory Spice store say they are pleased to be Central Oregon’s spice merchants and are “very thankful for the community support” they have received. Right next door to Ginger’s Kitchenware, the spice variety on offer at Savory Spice allows a double-punch for local bakers, chefs and home cooks to find everything they need to make any recipe under the sun.